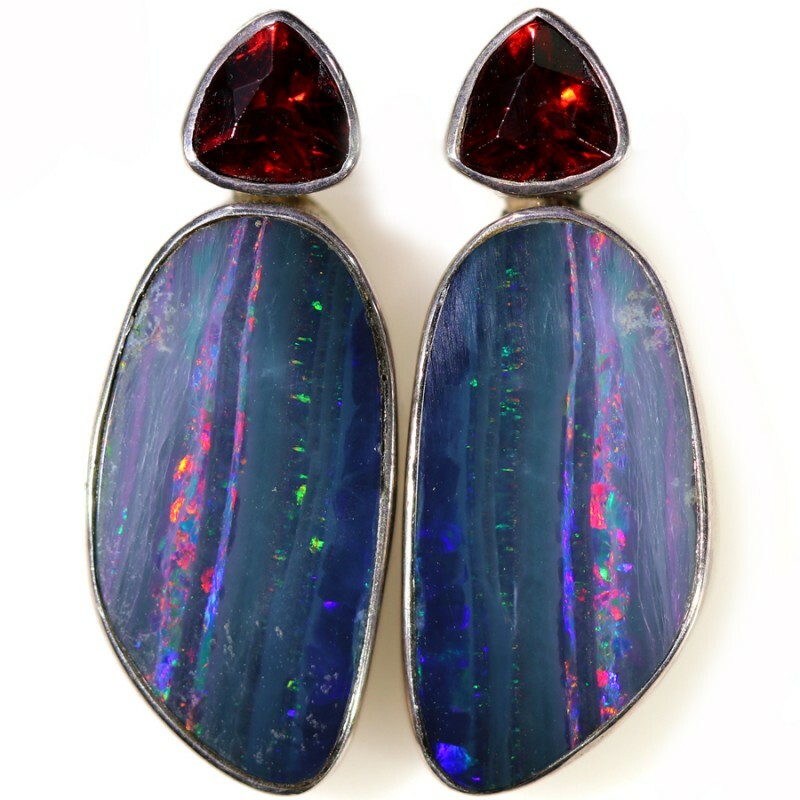 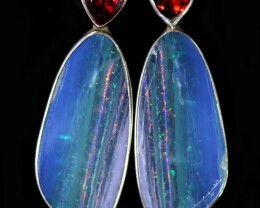 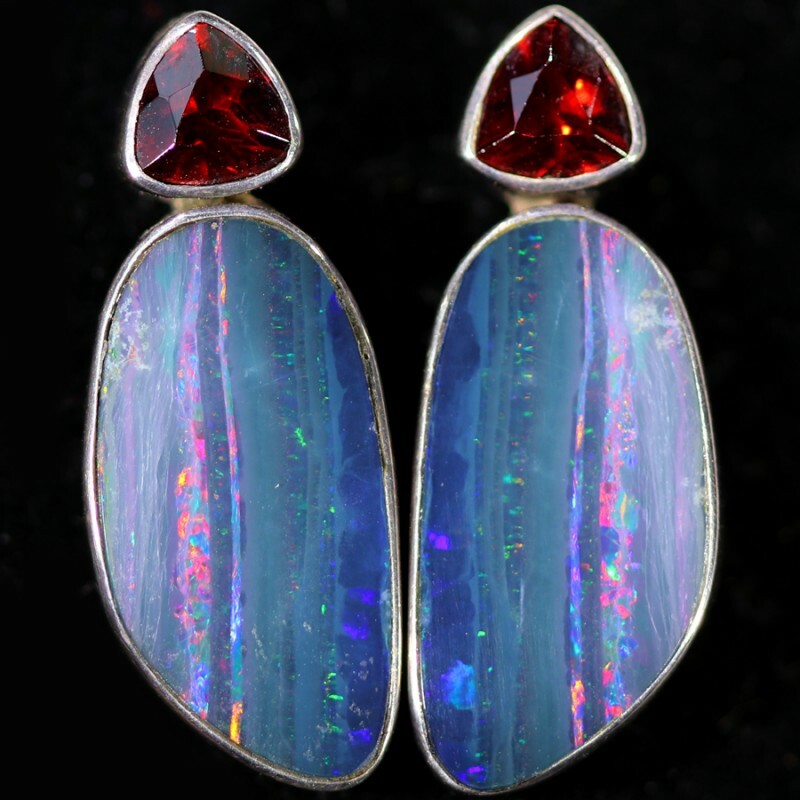 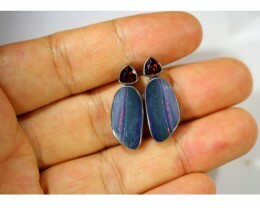 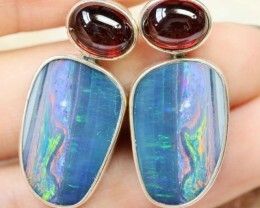 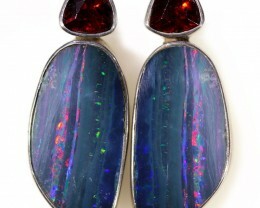 This is a doublet made from natural Australia Opal and backed on to ironstone from Queensland to look like expensive black opal. 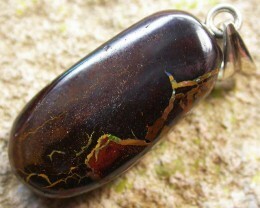 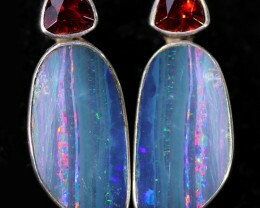 It also has a beautiful natural garent on top. 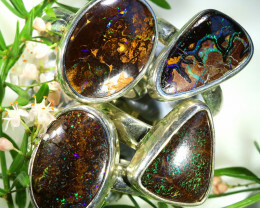 The weight is for both the stone and silver. 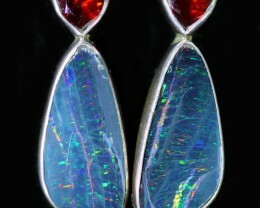 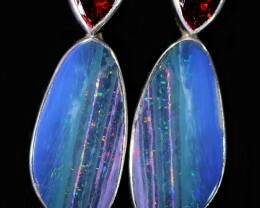 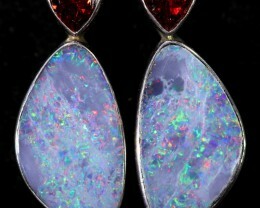 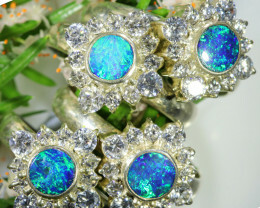 Opal pairs hard hard to find so they usually sell for 30 to 50 % more per carat. 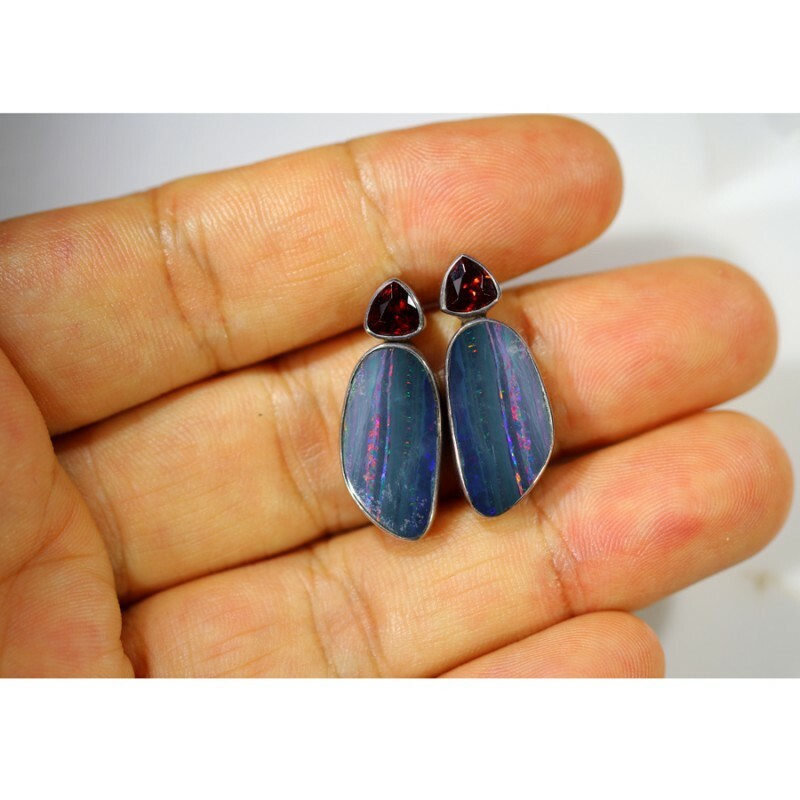 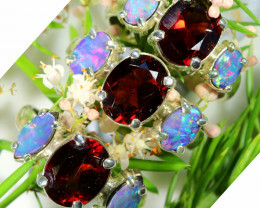 Our jewelry manufacturing is contracted out to one factory in asia where i supply both the silver and stones to be set.This gives me control of the quality of both the silver and stones.